Jules (Drayton, United Kingdom) on 1 August 2013 in Animal & Insect and Portfolio. 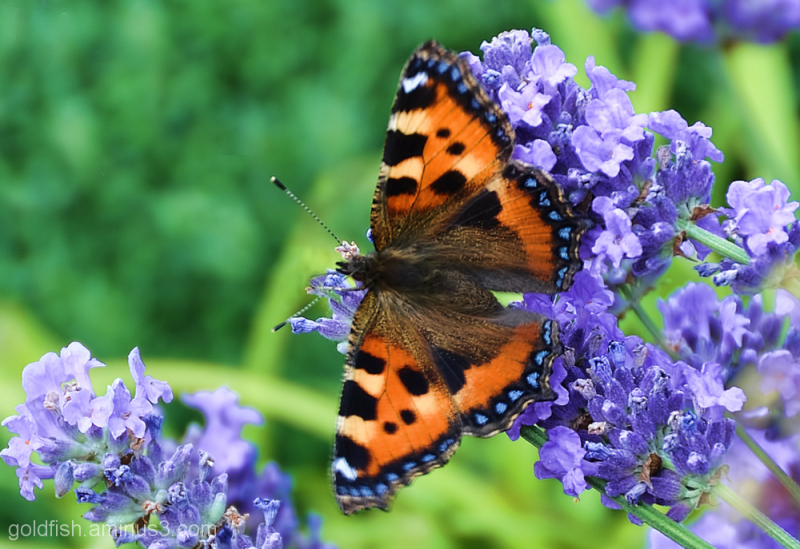 The Small Tortoiseshell is one of our most-familiar butterflies, appearing in gardens throughout the British Isles. Gorgeous flutterby.. I haven't really seen many this year. Not sure why. Fantastic post Jules, sparkling colours. Papillon pleine fleur,une belle vie de papillon.Belle proxy-photographie. Superb capture of this gorgeous butterfly! Incredible bright colours! 5 stars from me - gorgeous detail and contrast of colors. Splendide avec un superbe cadrage. Bonne journée. Oh Yay - always love some flutterby photos. What a gorgeous butterfly! I love the color and patterns that he has. Beautiful composition! Stunning Jules perfect DOF and super sharp focus! Fantastic detail, color and light ! Beautiful to see !! superb! the colours and detail are brilliant! Superbe composition et très belles couleurs!!! so so beautiful focus, colors, lights & bokeh!